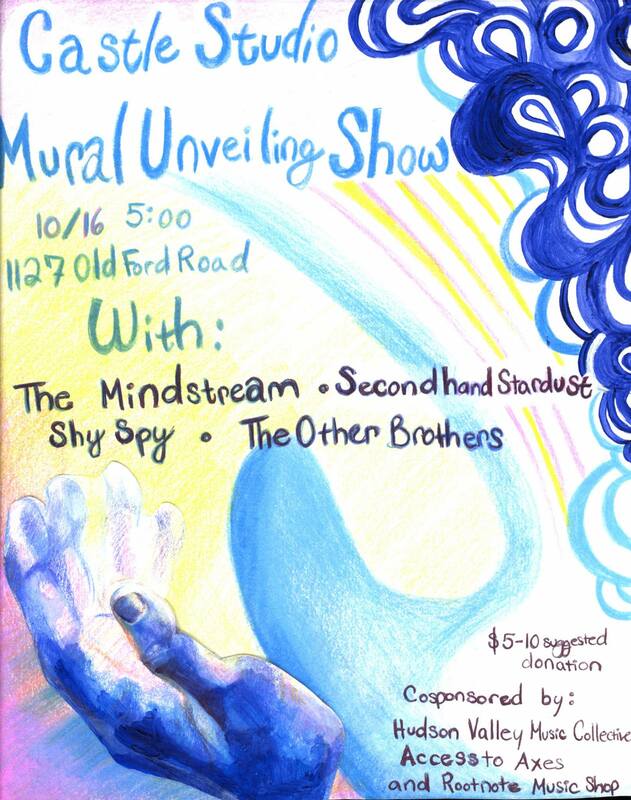 On Sunday, 10/16, Castle Studio in New Paltz will unveil a stunning mural painted by Melanie Berardicelli Art. It will be our first official show, featuring 4 of our favorite local bands. Plus, we're raffling off a keyboard and a bass amp, cosponsored by Access to Axes, one of Melanie's original pieces, and 5 hours of studio time. Families are welcome!